Burton Reimer’s first day on a commercial fishing boat was also his last. The enterprising 17-year-old was saving up for a snowmobile, but 11 hours after setting out the boat sank. It had no lifesaving equipment. 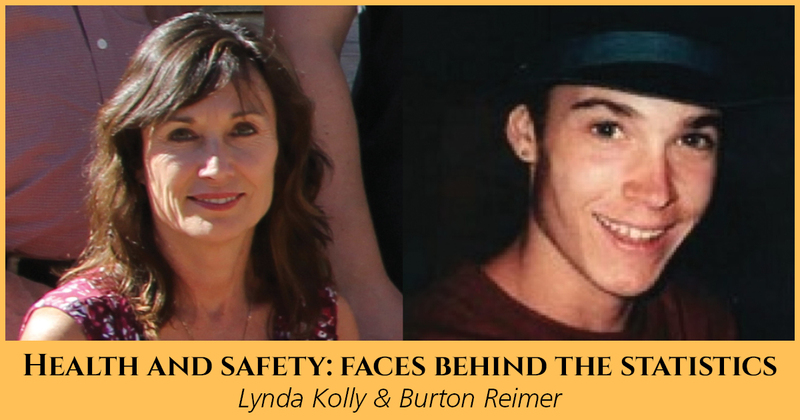 “Burton’s wages for that day would have been $85,” says his mother, Lynda Kolly. Eventually she was able to redirect her grief toward helping other families cope with illness, injury and loss. More of Lynda’s story can also be found in Forget Me Not, a Threads of Life book of family stories available at www.threadsoflife.ca/forget-me-not.